started asking for specific types of scones. Therefore, I’ve begun more experimenting. 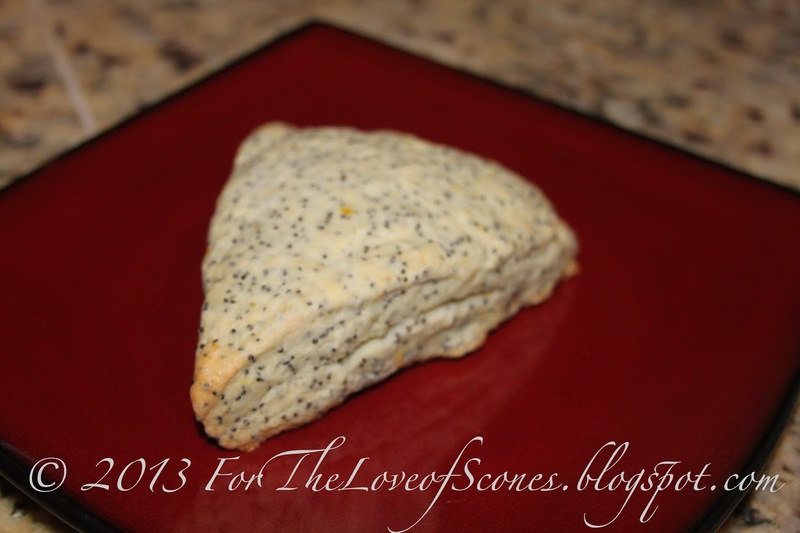 Thus a recipe that I’m probably not the best guinea pig for: Lemon Poppyseed Scones. Now, I’ve never been a fan of lemon, or poppyseeds, but I’m game for coming up with a new recipe. So this was my best attempt. 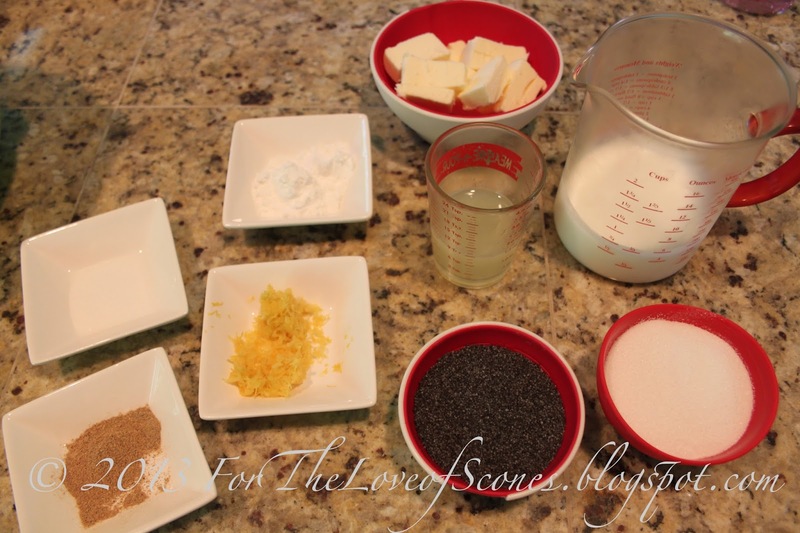 Whisk the flour, baking powder, cardamom, sugar, salt, lemon zest and poppy seeds together. Add the lemon juice to the buttermilk and mix. Add the mixture to the dry ingredients and combine until the dough just comes together. 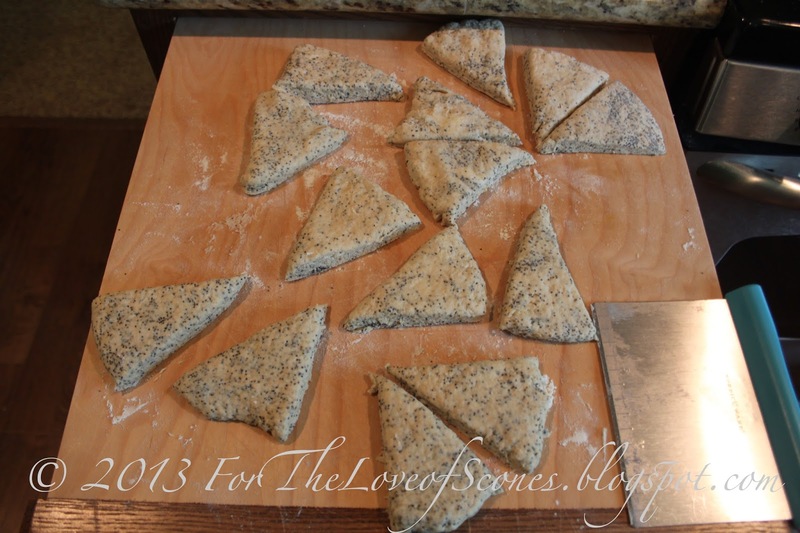 Turn dough onto a lightly floured countertop and divide into two. Press each half into a 1/2-inch high circle and cut into eighths. Place on a parchment-paper lined baking sheet two inches apart. Bake at 400ºF for about 15-17 minutes, or until golden on top. To be honest, I was a little disappointed with these. I felt that they weren’t fluffy and flaky enough. The flavor was good, (although I’m not a huge lemon or poppyseed fan) and so I’ll have to do some more experimentation to perfect these. Perhaps more butter or substituting heavy whipping cream for the buttermilk.